Peter Francisco’s Locust Grove | slate river ramblings . . . .
Peter Francisco’s Buckingham home, Locust Grove, has been restored and is listed on the National Register of Historic Places. This care and attention to Locust Grove was not inevitable and future generations are fortunate that the house has been preserved. 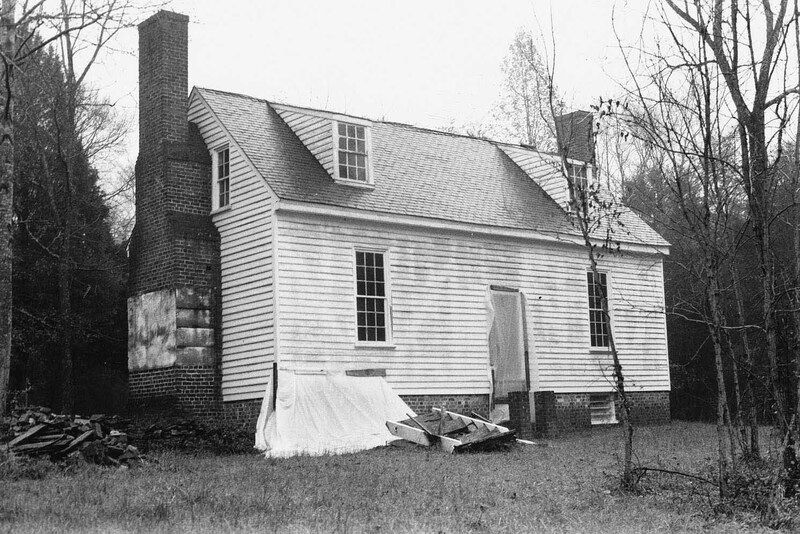 In 1936, when the house was surveyed by Rosa G. Williams for the Virginia Historical Inventory, it was a sorry sight. Long in disrepair, the heart pine timbers with their wooden pegs barely held together. Aged plaster had fallen from the walls. The wind whistled through the eaves. In the 1970s, the Society of the Descendants of Peter Francisco embarked on the restoration of their ancestor’s home, intending to turn it into a museum. The museum never materialized, but significant restoration was accomplished with matching government funds. Today, the house is once again in private hands.